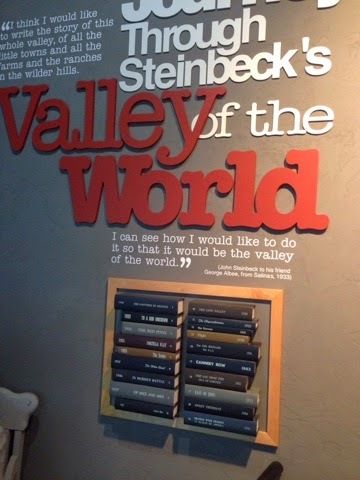 My travels took me over to Salinas today where the National Steinbeck Center is located. As a senior citizen I paid just under $9.00 for entrance to the museum. 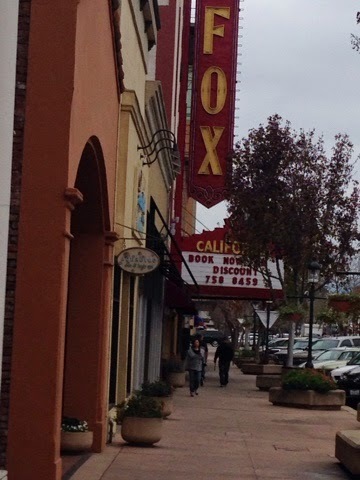 Upon paying there was a woman who spent 5 minutes to outline the center before I head out through a comprehensive history of the legend that was brought up in Salinas and his family had a cottage in Pacific Grove that I reviewed yesterday. 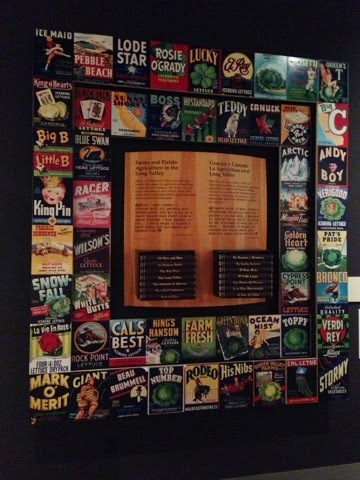 The picture above is a collection of the titles of the novels he wrote. I never realized he had so many. 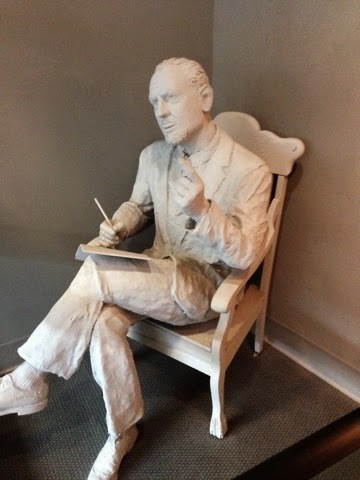 What was interesting was the influence that everyday life had on his writings, and his desire to champion the downtrodden. I got kick out of what is written above. As a young lad on the FD it was a right of passage to manually crank over the Seagrave Fire Engine. Although the Seagrave had an electric start in addition to the crank. "Real Men" and the right of passage into the department had traditions such as this to gain acceptance by others. 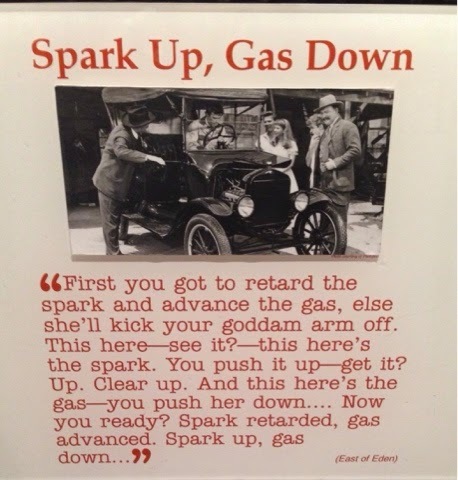 Not retarding the spark and advancing the gas (manual throttle) could mean that the engine firing but not fully turning over resulting in the engine back cranking while the crank was still pushed in, causing the handle returning under compression and hurting you. The Seagrave also has a front suction to clip your knuckle on so you never rapped your thumb around the handle. 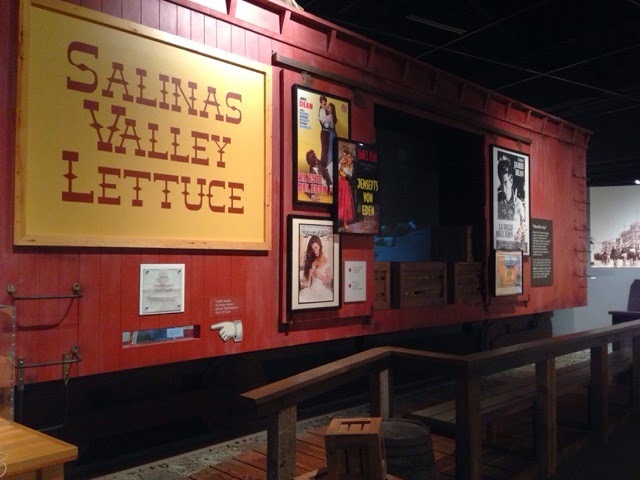 Salinas is a farming area that developed under westward expansion and attracted many ethnic groups. Of course Steinbeck's Grapes Of Wrath was written about a family that was uprooted from the Midwest due to the dust bowel in the 1930's. The railroad played a major role in transportation. The picture above shows a number of the farm labels that produce was packaged under years ago. 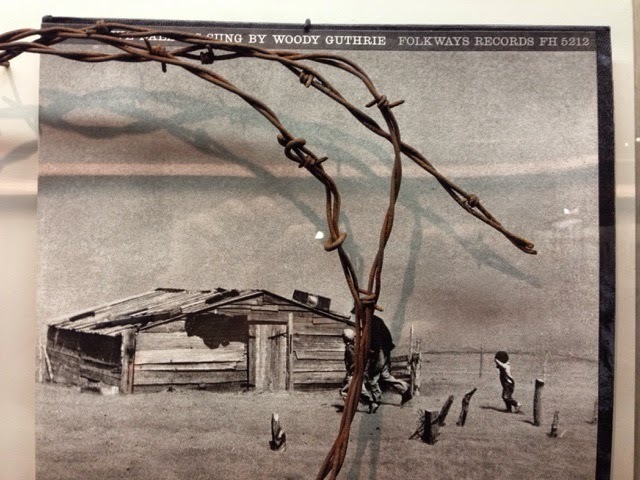 Many know that I like Arlo Guthrie's music and saw him play in Brattleboro, VT. Arlo's farther Woody Guthrie wrote songs about conditions portrayed in Steinbeck's work. Picture above. 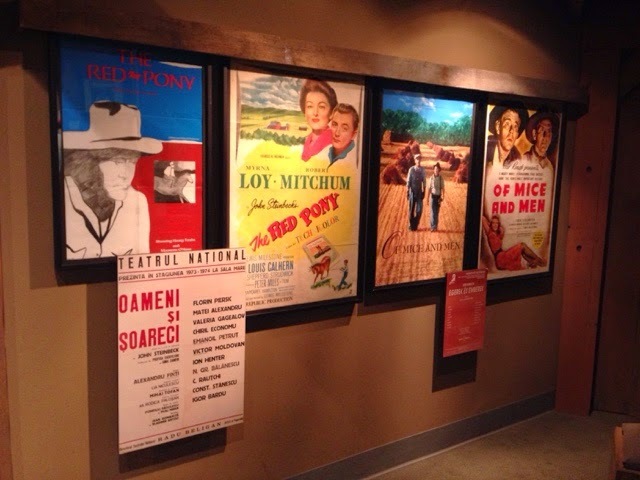 As I moved my way through the museum, I was connected to movies that were based on Steinbeck's work that I never knew. 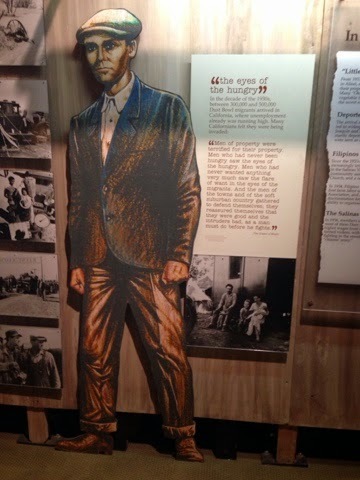 Around Salinas in the fields you can see wooden cutouts like the one above standing depicting period dress and activities associated with farming. 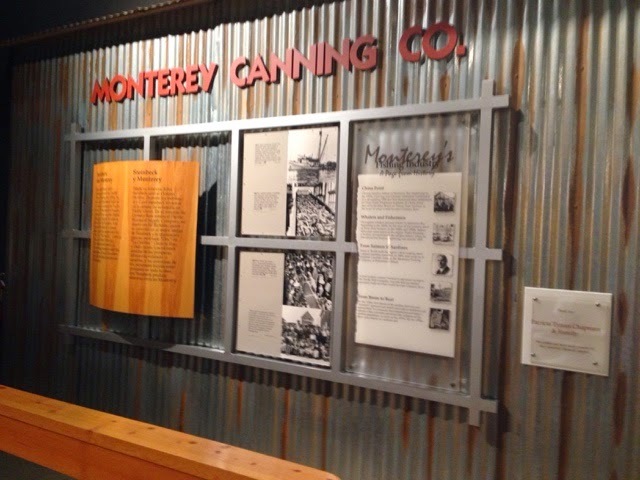 Another Steinbeck book "Cannery Row" depicts life here in Monterey where the canning of sardines was king until they were fished out. 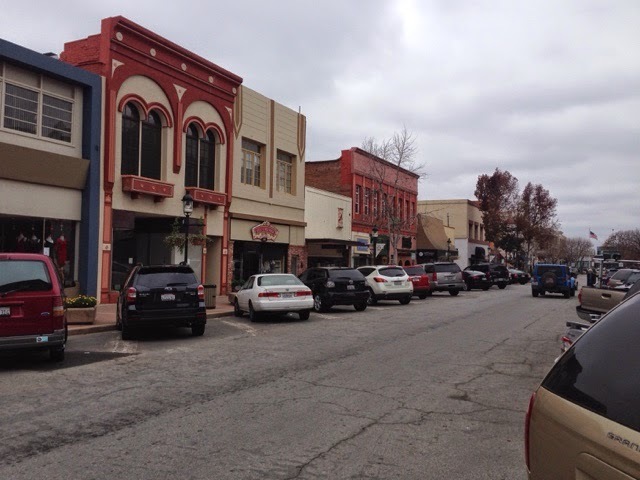 Yesterday I showed pictures of cottages in Pacific Grove. 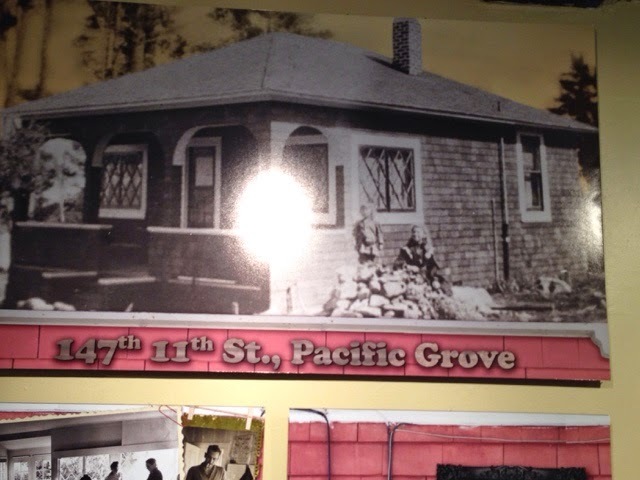 Above is a picture of the cottage that Steinbeck lived in. 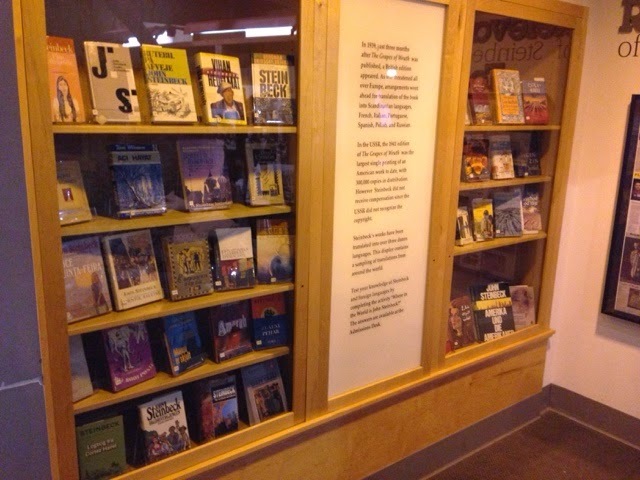 Hard covered books authored by John Steinbeck. 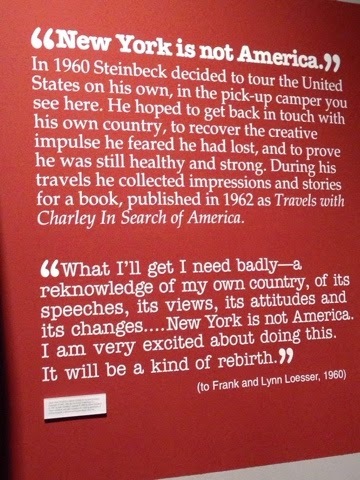 Steinbeck, while visiting and living in New York City knew that the realities of life elsewhere in the country were not representative of NYC. 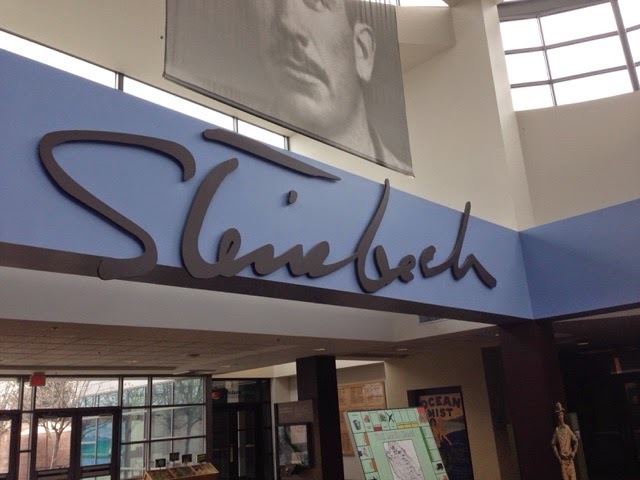 Steinbeck set out on a trip around the country to connect with people that he best related with. 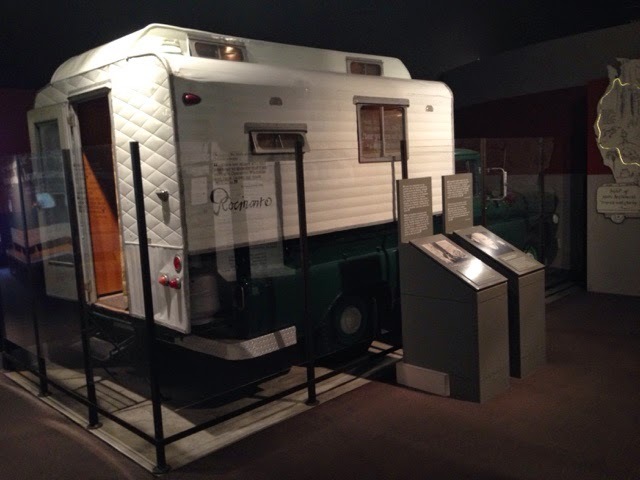 Steinbeck's camper in the picture above was his method of touring the country meeting people. 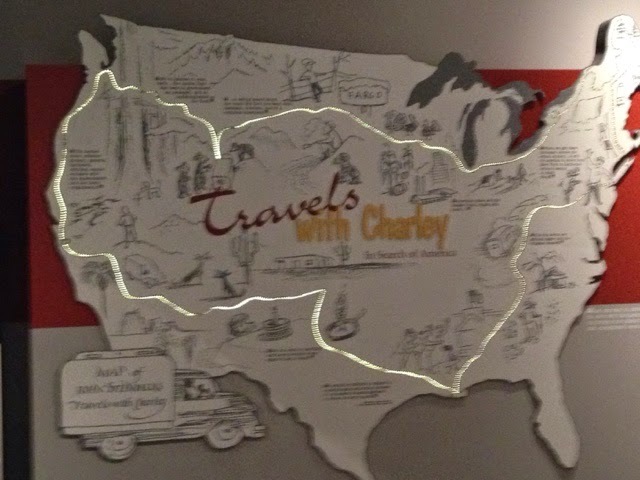 I can relate to Steinbeck's desire to meet people from around the country as a sense of grounding one's life. 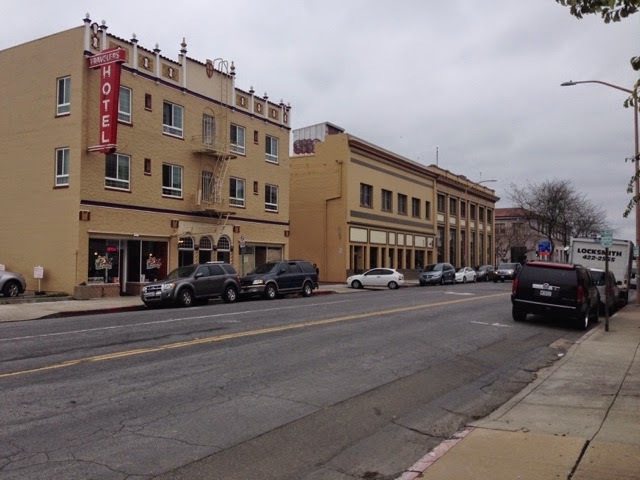 Salinas may not as robust as it once was but I did find it hanging onto its Old Salinas roots by keeping small shops and restaurants active in older buildings. After my walking tour of Salinas I stopped by the Polot Truck Stop for gas ($2.49) in my Prius as I get a 3 cent discount per gallon for being a Good Sam Club Member. 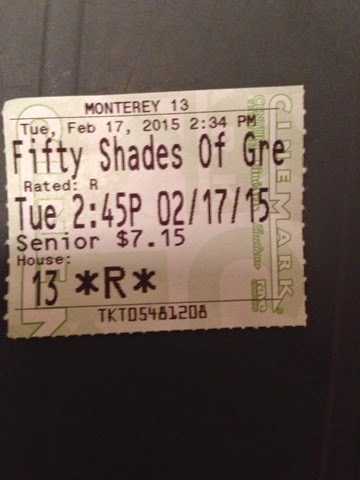 I headed back to Monterey and made the mid-afternoon matinee of 50 Shades Of Gray. I have read the trilogy and this first movie covers the first book.